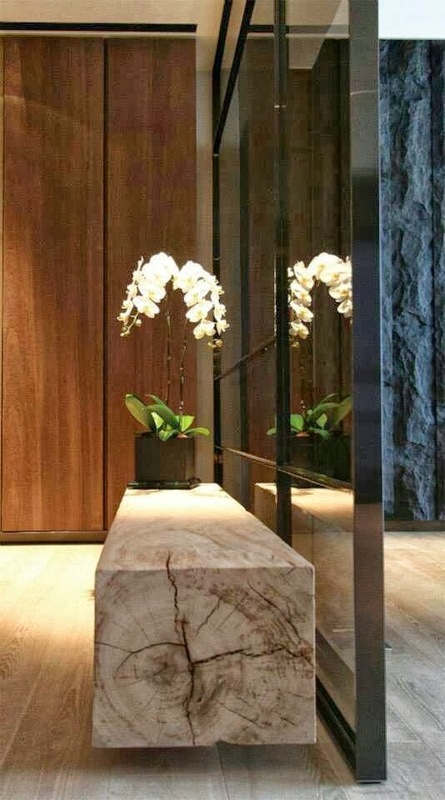 Designing Home: Is there beauty in imperfection? 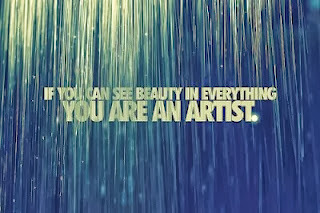 Is there beauty in imperfection? I find beauty in imperfection and impermanence. 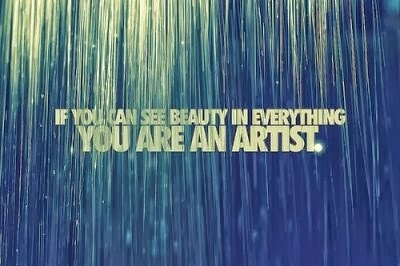 It's all over my art. and objects no longer needed for their original function, the list is endless. Accepting transience and imperfection (flawed beauty) can also relate directly to your living space. 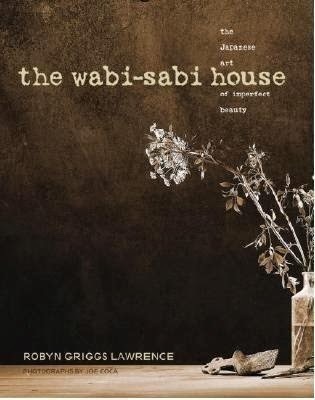 The Japanese world view/aesthetic of wabi sabi acknowledges three simple realities: nothing lasts, nothing is finished, and nothing is perfect. Wabi Sabi reveres authenticity. When you look for authentic furniture and objects for your home you will rarely find them in big box stores. 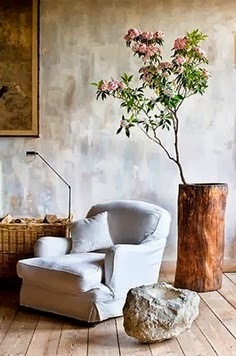 Natural materials predominate in wabi sabi homes: paper, aged wood, linens, cottons, etc. Look for anything that celebrates the marks of time , weather, and the effects of loving use. 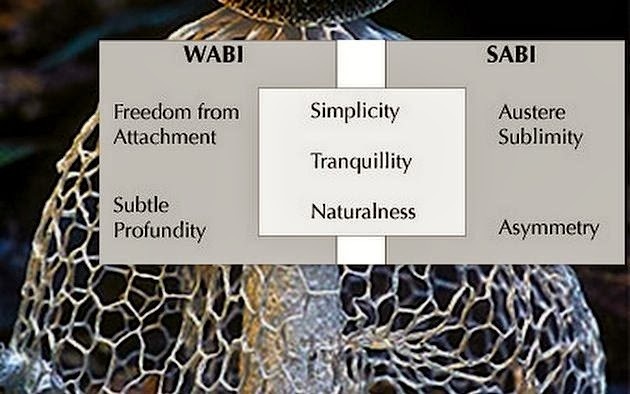 This graphic is a good summary of the characteristics of wabi sabi. Characteristics of wabi-sabi include: asymmetry, asperity (roughness, irregularity), simplicity, economy, austerity, and appreciation of the integrity of natural objects and processes. 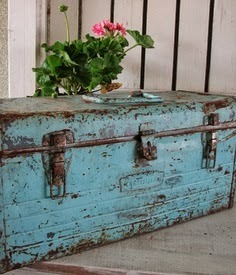 Look for: natural flawed beauty, patina, handmade, irregularity, bareness. How refreshing! 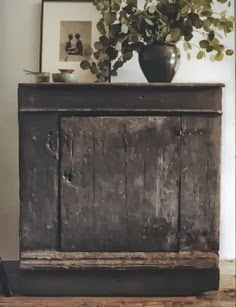 This aged cabinet maintains the marks of its history. No effort could make it perfect. The vignette on top is simple, asymmetrical and references the beauty and temporality found in nature. While there is austerity in the products, there is also tranquility. 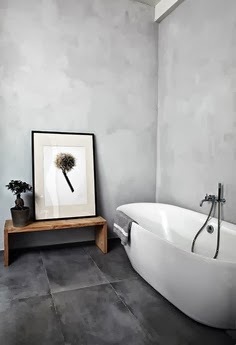 Many examples of wabi sabi contain little or no colour, but I feel colour is not exclusive of this aesthetic. Here's a good example that has all the characteristics noted above. The marks of time are evident, even more so on colour. 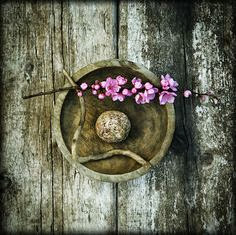 The delicacy of pink blossoms against all the weathered wood pits naturalness against roughness. Not every space that has wabi sabi characteristics looks exactly the same. All of these spaces have some wabi sabi elements. The wood console table is a hint of wabi sabi against the glass. 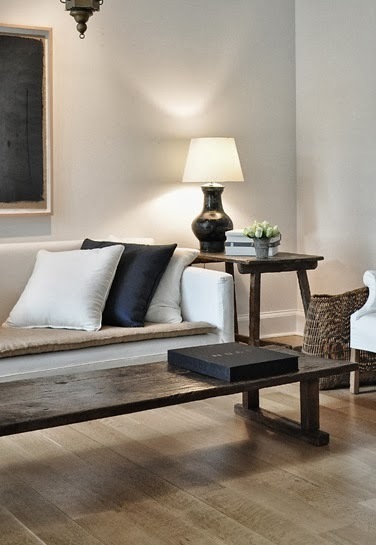 The space is simple and tranquil. 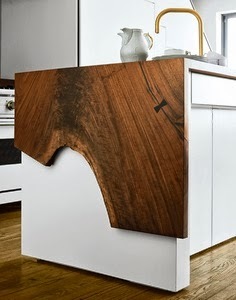 I love the imprefection of this countertop against the modern, pristine cabinets. Am I the only person who craves warmth in countertops? Imagine the difference if this island were finished in granite. Lots of natural materials, simplicity and economy is line and adornment, and a focus on the handmade. And a lesson we can all learn from Wabi Sabi....you can also interpret it in a much looser fashion to accept what you have as beautiful and to live with only what you need. 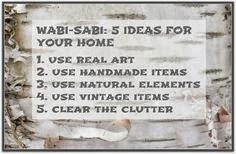 Imagine you knew all about Wabi Sabi but didn't know the name of your aesthetic! I'm with you on the old wood...thinking about my latest assemblages. Glad to put a name on what you love Lesley. You are the second reader to have that reaction. 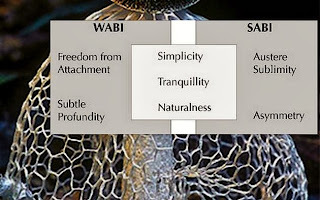 It is simplicity and aged elements together that make wabi sabi. Many people love old, marred objects but they have so many of them in one room that it can look like an antique store rather than a serene abode.